The real estate market in 2017 can be summed up with one word: volatility. In the beginning of 2017, REALTORS® and consumers saw the prices skyrocket by more than 30% in comparison to the same time the previous year. Then all of sudden in April, after the Fair Housing Plan was introduced by the Ontario government, the record sales turned into a drastic drop. They have not reversed ever since. In the second quarter of this year, the price of real estate hit Greater Toronto Area, specifically in the Richmond Hill, Markham and Vaughan areas. The aggregate house price in Richmond Hill had fallen by 12.4% in Richmond Hill year-over-year to $1,132,722, 8.8% in Markham year-over-year to $1,004,095, and 6% in Vaughan year-over-year to $1,011,913. The cause of the sluggish trend this year was the federal mortgage stress test mandated in January 2018. This reduced the borrowing power of buyers and forced them to lower their criteria. The rules have slowed the market particularly in suburban Toronto where prices are "very soft". Choosing where to buy a home is a very personal decision. Affordability is important — and increasingly hard to find in markets like the Greater Toronto Area — but occasionally an area is low-priced for a reason. For most Canadians, housing serves as both their largest asset and their largest source of debt. For many middle class Torontonians it is more of the latter. Whether the buyer is an income property investor or just looking for somewhere to raise a family, most of them strive to find a home in the neighbourhood that is likely to appreciate over time. As real estate professionals, you are experts on the ground. You can help real estate consumers make favourable purchasing decision and steer their search to areas that meet and fit their criteria. You can also help them avoid overpaying for a real estate property by alerting them of price changes as soon as they happen. InCom Web and e-Marketing Solutions web design team offers a simple tool for all real estate professionals to alert real estate buyers of a potential price drop in their area. This feature is only available to VIP registrants of your website and is not available anywhere else, including on MLS. Step 1: Website visitors select the desired local area or city for their real estate purchase. Step 2: Website visitors create a VIP account by filling out their contact form. 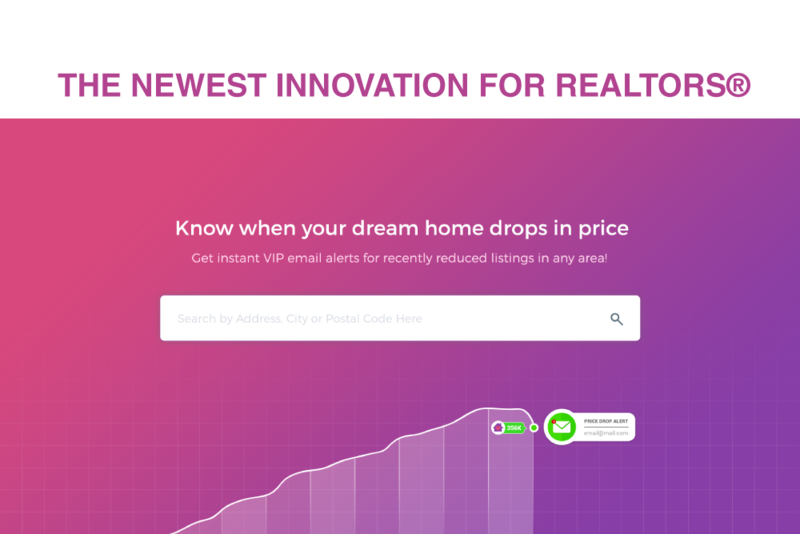 In creating the account, they will have access to saved searches, be able to bookmark recently reduced real estate/areas, and view/track price cut listings. Step 3: Website visitors sign up for alerts. The alert system notifies interested parties when listings in their choice of area have reduced. Having a professional real estate website is the first step to outdoing your competition. What will make you better, and help you garner more clients, are bespoke landing pages. InCom can provide great-looking landing pages that help you convert visitors into clients. There simply is no better choice. The best landing pages will benefit you as an agent, as well as those buying and selling homes, regarding real estate lead generation. You need to cater to all relevant audiences with any webpage, especially a landing page. If you want to do things right, the first time, choose InCom. For more information, please contact us at 1(866)883-8951 Option 1 today. My favorite landing page by far- good job incom. Neighborhood baser page and this price drop page i use for all my facebook posts. Good automation as well in terms of sending appropriate listings to my clients.